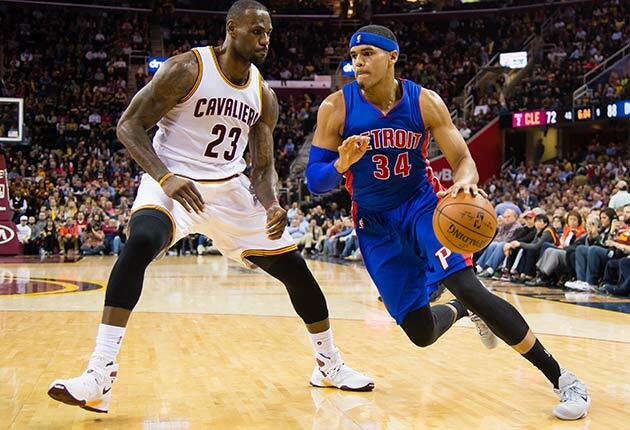 Which NBA players are helping their teams mount playoff pushes? SI.com examines five players that have become second-half stars. This year, even more so than most years, the NBA’s major storylines were set early. The Warriors, Spurs and Cavaliers have soared above the competition while also avoiding calamitous injury, Stephen Curry has had the MVP wrapped up for months, and none of the fringe contenders made big-time pick-ups at the deadline to make things more interesting. With roughly one month until the playoffs, though, there are still plenty of playoff seedings to sort out, not to mention deep bubble races in both conferences. While roughly one-third of the league is clearly playing for ping–pong balls at this point, everybody else is looking to kick hard as they come down the stretch. So, that begs the question: Which players are fueling these playoff pushes? Who is killing it thanks to a change in scenery, or an expanded role due to injuries to a teammate, or simple growth and development? Let’s dig in and take a look. • MORE NBA: Golden Season: Warriors' chasing history | No. 1 pick in draft? The Clippers’ ability to cruise without Blake Griffin has hit some serious rough water over the last two weeks, with double-digit losses to the Spurs, Cavaliers, Thunder, Hawks and Grizzlies, plus an ugly loss on Sunday to a badly undermanned Pelicans squad. 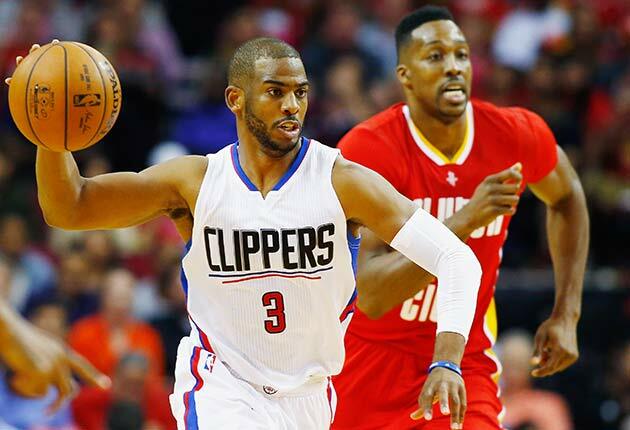 However, one thing continues to remain clear: Chris Paul is doing more than his fair share to keep L.A. afloat. During the Clippers’ 8-8 stretch since the All-Star break, Paul has picked up his numbers and his shooting efficiency, while ranking second league-wide in assists behind triple-double machine Russell Westbrook. But Paul’s ability to pick up the slack without Griffin is especially evident in L.A.’s offensive efficiency numbers with him on the court and without him. The on/off gap, which has been wide for years due to the Clippers’ shaky backcourt depth, has been an absolute canyon of late. On the season, L.A.’s offensive efficiency improves by 15.9 points when Paul takes the court. That’s absurd. Since the All-Star break, that differential has spiked to 21.1! What does that mean in simple terms? 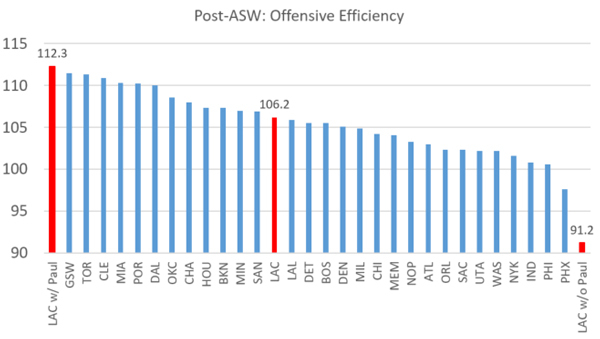 With Paul on the court, the Clippers’ offense has been the most efficient in the NBA (112.3) since the All-Star break, topping even the Warriors (111.5). Without Paul? The Clippers rank dead last (91.2), more than six points behind the hapless Suns. Here’s what that looks like in chart form. The Clippers with Paul are the far left bar and the Clippers without Paul are on the far right. Simply put, Paul has been a one-man army who hasn’t gotten nearly enough credit for keeping the Clippers in the West’s No. 4 seed without his All-Star sidekick. Although both Stephen Curry and Westbrook have impeccable cases as All-NBA First Team selections, Paul’s play and impact deserve mention in that conversation too. Anything less than a Second Team nod would be a catastrophe. Honorable Mention: Damian Lillard, Blazers. Portland’s point guard has been going nuts for a solid month now, averaging 29.9 PPG since the break, which ranks third behind Curry and James Harden. Despite a road-heavy March and some unsightly defensive performances of late, the Blazers remain in the West’s playoff picture thanks largely to Lillard’s scoring acumen. The 2015 second-round pick has been found gold for the Heat, who have ripped off a 12-5 record (No. 5 in NBA) and +7.4 point differential (No. 2 in NBA) after the break despite making multiple salary dumps at the trade deadline and losing All-Star big man Chris Bosh to a blood clot scare. After playing sparingly and racking up DNP-CDs before the break, Richardson has made the most of an expanded opportunity following an injury to veteran Beno Udrih. Richardson, 22, went from barely being name-checked in the game notes to being included in the squad photo on the album cover. Plus, he’s on one hell of a scorching hot streak. Richardson, a 31.8% three-point shooter during four years at Tennessee, is shooting a higher percentage from deep since the break than every player launching at least two threes per game. “I feel like the goal is reallllllly big right now,” Richardson said recently, in an interview taped by the Miami Herald. No kidding. As it stands, Richardson, the No. 40 pick in the 2015 draft, leads all second-round picks in Win Shares (1.7) and ranks ninth overall in his class, trailing seven lottery picks and Lakers forward Larry Nance Jr. Not bad for a guy who was logging D-League minutes as recently as January. Honorable Mention: Lance Stephenson, Grizzlies. Remember when Memphis headlined its press release announcing its trade of Jeff Green for Stephenson with, “MEMPHIS GRIZZLIES ACQUIRE FUTURE FIRST ROUND DRAFT PICK AND LANCE STEPHENSON FROM LOS ANGELES CLIPPERS.” Giving the pick top billing seemed a little cold at the time, but Stephenson has played enough with the Grizzlies that an apology might be in order. An insane rash of injuries has given coach Dave Joerger no choice but to play Stephenson, who has responded by averaging 15.1 PPG and 5.1 RPG, his best numbers since he was a member of the Pacers. It’s taken a collective effort to keep Memphis in the West’s No. 5 seed and, for once, Stephenson has been a productive member of the collective. The timing couldn’t be better given that his current contract has a team option this summer. Antetokounmpo is the only player on this list whose team isn’t actively engaged in a playoff push. No matter, his soaring production and evolving game make him a mandatory part of this list. Shifted into more of a ball-handling and distributing role, Antetokounmpo’s passing numbers, in particular, have gone through the roof since the break. To put that last number in perspective, only 11 players are averaging more passes per game than Antetokounmpo since the break: Nine point guards, Pau Gasol and Draymond Green. Antetokounmpo is passing more often per game since the break than Russell Westbrook (who is averaging 11.9 APG), Curry, Harden and a host of other prominent lead guards. 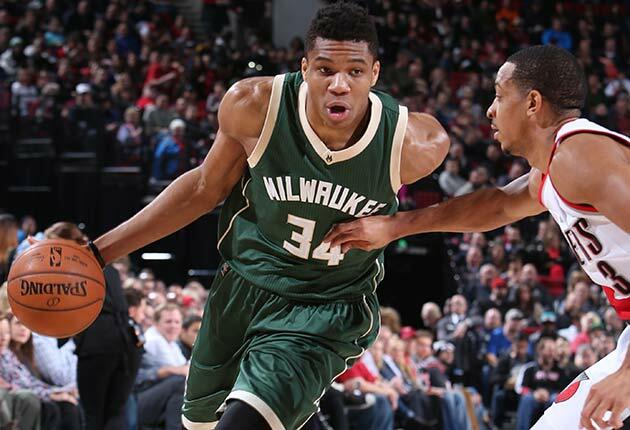 Before the season, an NBA scout predicted during SI.com’s annual “Behind Enemy Lines” segment that Antetokounmpo would break out and earn a trip to the 2016 All-Star Game. That proved incorrect, but only because it was a few months premature. The best part? All the gushing his recent play has inspired. For more, read this, this, this and watch this. 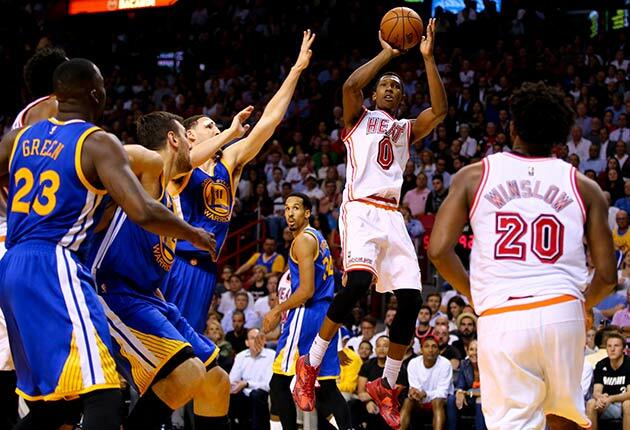 Honorable Mention: Joe Johnson, Heat. Earlier this season, SI.com was convinced that Johnson would see the light and seek a buyout from the woeful Nets, choosing to trade his Big Apple misery for some sunshine and a shot at bolstering a fringe contender in need of wing reinforcements. That’s exactly what happened, albeit with one catch: Johnson chose the Heat instead of the Clippers (SI.com’s guess at the time) and the Cavaliers (who reportedly received some recruiting help from LeBron James). So far, Johnson’s decision-making skills are looking excellent: he’s averaging 15.8 PPG and shooting a blistering 55.3% from deep for a Heat team that’s been charging up the standings. It’s amazing how quickly a 34-year-old’s season can turn around when he has something meaningful to play for, isn’t it? That Harris makes this list on the same day his current team (Detroit) hosts his former team (Orlando) is merely a coincidence, but a fortunate one. SI.com strongly approved of the Pistons’ trade deal for Harris, although there were concerns that a thin team might feel some short-term pain by ditching multiple veterans (Ersan Ilyasova and Brandon Jennings) in the move. Instead, Pistons GM/coach Stan Van Gundy is having his cake and eating it too. (Washing it down with a Diet Pepsi, surely). Not only do the Pistons appear to have in Harris their spread power forward of the future, a natural complement to low-post best Andre Drummond, they also are enjoying an ongoing chase for a playoff spot. Detroit is 10-7 since the All-Star break, in part because Harris’s scoring game has fit in cleanly to a heavily-used starting lineup that needed another source of pop. As Van Gundy admitted in a recent Detroit Free Press story, playing the 23-year-old Harris now requires trading some defense for his offense. Here’s how Detroit’s starters (Reggie Jackson, Kentavious-Caldwell-Pope, Marcus Morris and Drummond) have fared with Ilyasova (before the deadline) and Harris (after the deadline). Save the hand-wringing over that until next year at the earliest. For now, focus on the fact that Harris is aligned age-wise with Detroit’s other starting pieces, that he’s found his best basketball home yet during his career and that his three-point shooting has bounced up quickly thanks in part to more catch-and-shoot opportunities. Also consider: Nine of Detroit’s remaining 11 games are against East foes, meaning that the Pistons will have every opportunity to make the postseason for the first time since 2009. In other words, the Pistons are relevant in the present and heading towards a fairly bright future. Man, this is disorienting. Honorable Mention: LaMarcus Aldridge, Spurs. During his Portland tenure, Aldridge had a habit of posting his best numbers in December and January before tapering off a bit down the stretch. Cynics might claim that he was gunning for an All-Star nod, while more charitable observers would point out that he was straining under huge minutes and a major usage role. The past is the past. In San Antonio, Aldridge has been enjoying a strong kick after the break, averaging 20.4 PPG and 9.1 RPG (up from 17 PPG and 8.4 RPG before the break) and playing the fewest minutes since his rookie year. He turned in an impressive performance in a win over the Warriors last weekend, bullying Golden State’s small ball lineups whenever he was switched away from Draymond Green, as the Spurs continue to lead the league in point differential. His comfort factor in San Antonio’s deliberate, pass-happy offense looks better and he’s done his part for the Spurs’ league-leading defense. Surprise, surprise: Gregg Popovich found a way to make this work. Yes, Miami’s strong late-season push helped them dominate this list. In typically unpredictable fashion, Whiteside lands here because he managed to scale up his statistical output while being moved back to the bench. You don’t see that every day. 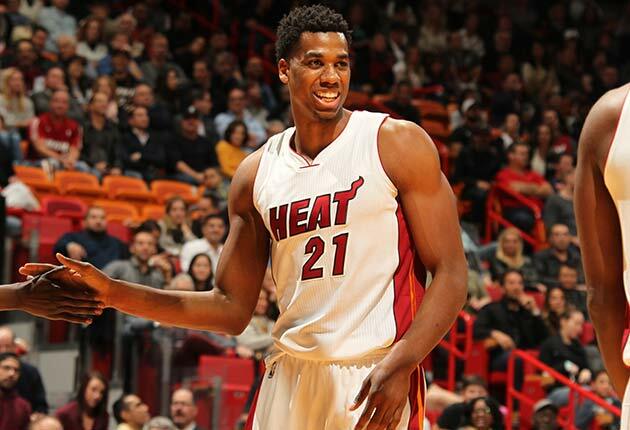 Before the break, the 7-foot Whiteside started in 40 of his 45 appearances. Since, he’s been a member of coach Erik Spoelstra’s second unit all 16 appearances, with Amar’e Stoudemire getting the starting nod. But look at his numbers grow. At this time last season, Dwyane Wade was questioning Whiteside’s commitment and maturity as Miami’s playoff helps swirled down the toilet. Now, Wade is saying things like “He’s playing like a monster” about Whiteside, who put up a monstrous 24 points (on 10-for-11 shooting) and 14 rebounds against the Pelicans on Tuesday. The best part of this surge for Whiteside, though, is that it aids his upcoming free agency in two ways. First, he’s putting up per-game numbers that only a select few big men can match and his lineup efficiency numbers look far better than they did earlier in the year. Second, the very fact that he’s doing it while coming off the bench suggests a level of personal sacrifice that hasn’t been there in years past. Is it genuine? Will it stick? Who knows, but suitors will have to pay up come July. Someone will have to bet very, very, very, very big on the mercurial Whiteside if this level of play keeps up during the postseason. Honorable Mention: Channing Frye, Cavaliers. It’s not clear whether Frye has missed a shot since arriving in Cleveland from Orlando at the deadline. Okay, okay, the stretch big man is “only” shooting 49.2% on three-pointers while averaging 8.3 PPG since the break. In case you were wondering, all 29 of Frye’s three-pointers in Cleveland have been assisted, as he’s become a popular target for both LeBron James and Matthew Dellavedova. 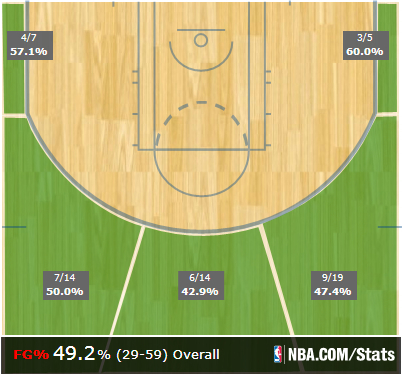 His shot chart looks like a freaking putting green. Although the sample size remains small, Cleveland’s offensive rating with Frye on the court is a whopping 115.4, suggesting he’ll get more postseason run than many might have expected when he landed in Ohio. In a month clouded by James’s Unfollow-gate and other assorted rumors of discontent, Frye’s arrival makes for quite the silver lining.